Main Street Ballroom is honored to be a part of the revitalization and economic development of Historic Ellicott City. The small, independently owned shops and businesses that line Main Street give our namesakes its authentic and unequivocally unique vibe and we are thankful to be a part of it. As a responsible member of the community, Main Street Ballroom strives to both support and uplift other small businesses in the town we call home. We encourage all of our clients to choose to #shoplocal in Ellicott City when planning their weddings. From rehearsal dinners to bachelorette parties and bridal showers to wedding favors, on this page, you'll find a list of businesses who are offering incentives and creative ideas for brides and grooms to get themselves-- and their wedding guests!-- excited about Main Street. THE DEAL: We would like to offer a Free Champagne toast! 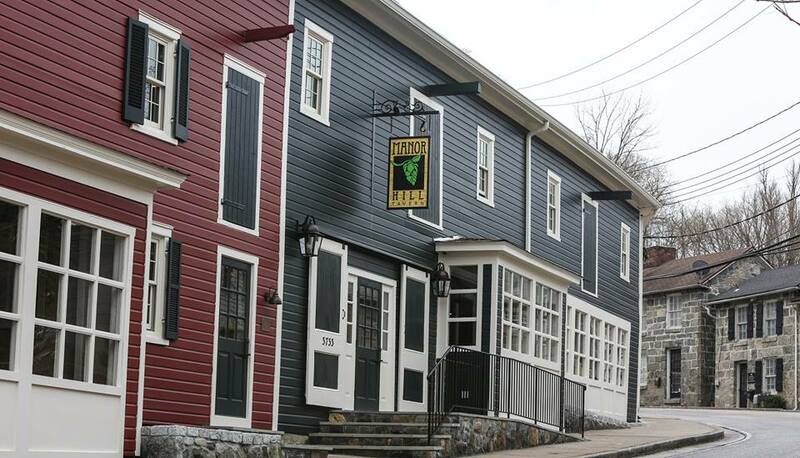 ABOUT: From the owners of Victoria Gastro Pub, Food Plenty, and Manor Hill Brewing, Manor Hill Tavern offers an eclectic menu featuring brick oven pizzas accompanied by farm brewed beers from Manor Hill. Manor Hill Tavern occupies the historic Taylor’s Row in Old Ellicott City. Built in the mid-19th Century, this iconic series of buildings initially served the livery trade of the area. Our bar and dining areas feature original architectural elements such as exposed stone walls, barn doors, and beams. Local artwork hangs throughout the Tavern’s many rooms and a newly commissioned mural adorns a main wall, a nod to the eclectic and vibrant artistic community of Old Ellicott City. The result is a unique and memorable atmosphere unlike any other. THE DEAL: Our venue is appropriate, in particular, for the wedding afterparty, as well as informal wedding rehearsal buffets, bachelor/bachelorette parties, and wedding showers. For a unique bachelor or bachelorette party, have a whisky or beer tasting with our resident expert discussing the spirits in a mini course-like dialogue. We specialize in 17 rotating craft beers on tap as well as the largest selection in a pub, of single malt whiskies in the state of Maryland. WE ARE OFFERING THE USE OF A MODERN ONE BEDROOM APARTMENT TO THE BRIDAL COUPLE WITH A SCHEDULED JUDGE’S BENCH EVENT. The apartment is attached to the rear of our venue for close, safe walking after the party. It can be used for the bridal couple, or parents of the bride or groom. Please request pictures of the apartment if interested and contact Jane at 8385main@gmail.com for more information. THE DEAL: Celebrate the bride to be with a Private Spa Party for her bridal shower. The guest of honor will receive one FREE Spa treatment with a party of 3 or more guests receiving treatments. ABOUT: The Massage Boutique is the hidden gem located at 8086 Main Street. We offer Massage, Facials, Waxing and Nail Treatments in our quaint but elegant Boutique Spa. We use nothing but the best products in all of our treatments and offer an exceptional experience to our guests. THE DEAL: A Divaz Boutique will offer our Brides 20% off her total purchase of $50 or more. Mention Main Street Ballroom to receive your special offer. Let A Divaz Boutique help you find that perfect wedding accessory or something special for your rehearsal dinner. ABOUT: A Divaz Boutique offers a unique sense of fashion & style for that hip and savvy Diva. Choose from unique accessories and hard-to-find designers. Every piece is unique! Be yourself. Be a diva! THE DEAL: Ken plays as a solo musician with pre-recorded backup musicians and he requires very little set-up space to seamlessly blend into any room of any size. Rate is $50/hour. ABOUT: "As a longtime Ellicott City resident, it would be a privilege to have the opportunity to be a part of an event at Main Street Ballroom. 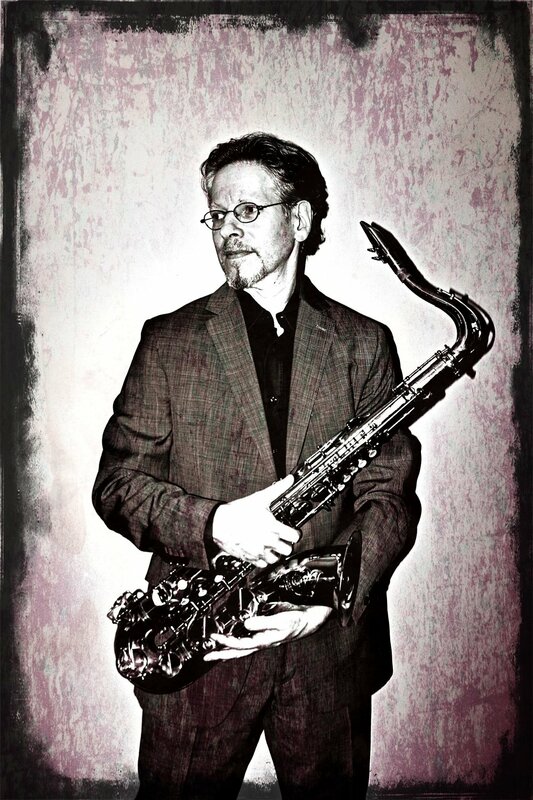 Ken provides a background splash of classic sophisticated jazz for your cocktail reception, business reception, or other gathering." OWN AN ELLICOTT CITY BUSINESS? GET IN TOUCH! WE WOULD LOVE TO PROMOTE YOUR BUSINESS TO OUR CLIENTS! We want to make sure you are authorized to offer discounts for your business. Please write the exact wording of the incentive that you would like to offer Main Street Ballroom clients. It can be anything from a percentage discount or free gift. Get creative! Write a brief "About Us" as you would like it to appear on our website. Please link an image that you would like to accompany your listing on our website.